Some of the pupils out of year 6 entered a Top Trumps competition. They all played against 4 other children and they had to spin a pointer to see which Top Trumps game they had to play, head to head, high low, win 2 pointers, steal a pointer or shoot out. After several games, the overall school winner was Alex. He will be competing online against other schools to see if he can win a trip for his parents, a friend and his teacher, to attend the final at the Science Museum in London on Saturday 15th May 2010. 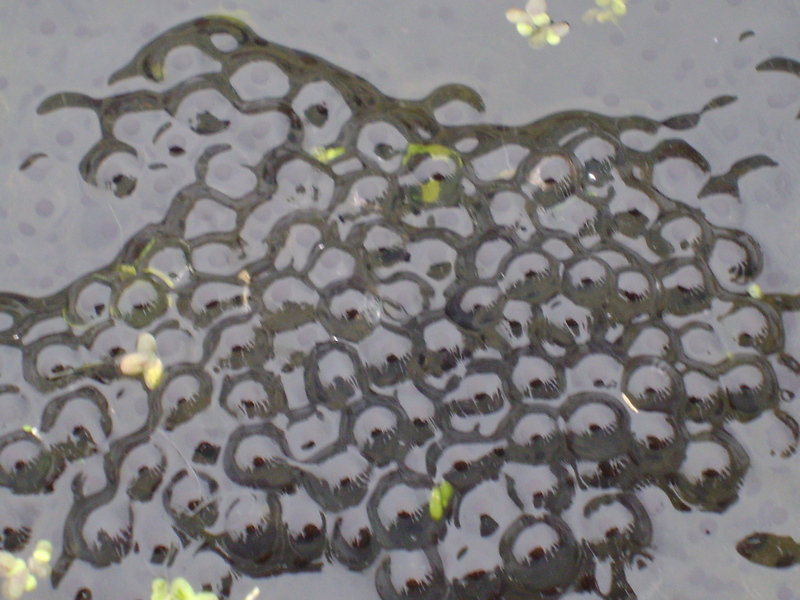 Our pond has been invaded by many frogs, who have all laid frogspawn. Hopefully our frogs will hatch soon and have fun swimming around in our wildlife area. Looks like we’re going to have a lot! The A to Z of our school in photos. Mr Hill is creating an A-Z book of photos with his camera club, using the photos that are on the achievements page on our website Here All classes are contributing with a short explanation about each photo. It is going to be in the reception area for the parent/carers to see our fantastic work. We are running an interschool handwriting competition. We have recently introduced a new handwriting scheme and all pupils have to write a poem in their very best writing and illustrate it. Each class will choose 2 winning pieces of writing from within the class, these will go to the governors and they will choose a winner for upper school and a winner from lower school. The winners will receive prizes, but we haven’t been told what yet! We have entered a ‘Virtual bike race competition’ in which 433 schools are competing. We have to record how many children are riding their bikes to school, each journey made takes us another 7km around the United Kingdom. The whole way around is 8,408km and we have ‘ridden’ 3,370km so far and are 98th out of the 433 schools. 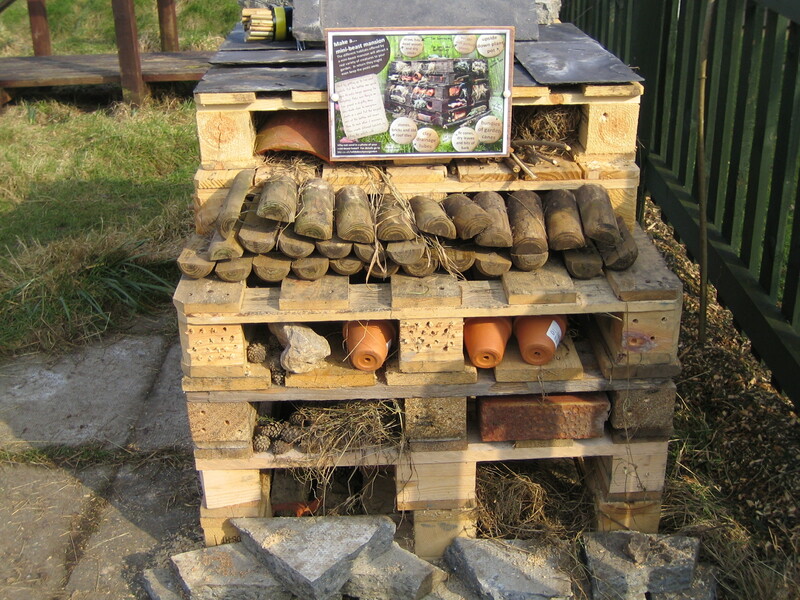 Mr Hill and his crew have been busy designing a mansion for mini beasts, using wooden pallets, bricks, tiles, clay pots and other recyclable materials, they have made a fantastic mini beast home. We’re hoping to encourage all sorts of ‘creatures’, including toads, hedgehogs, frogs, bees, butterflies and creepy crawlies. http://www.generationgreen.co.uk/GamesRoom/TopTrumps/ More info here – Generation Green Website. We have also entered a Potato Competition, organised by the Potato Council, we have planted our potatoes and have chitted them! Chitting is the process of placing seed potatoes in a cool, light place to encourage strong sturdy shoots to grow before they are planted in the ground, which we’ll do when the frosts have finally gone. The winning school gets a makeover on their allotments. http://www.potatoesforschools.org.uk/ This is the website for the potato growing competition.